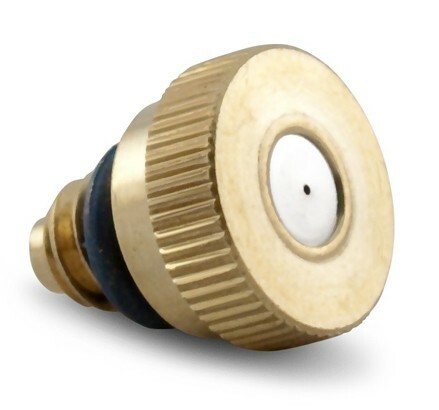 The Brass and Stainless Steel Nozzles are comprised of a brass casing and a high quality stainless steel orifice. The fine mist created from these revolutionary nozzles can lower the air temperature by as much as 30 degrees! Note: These nozzles are included with our Cool Patio HP systems and can be used in conjunction with a Booster Pump. They are NOT compatible with MistyMate’s personal misters. This nozzle works very well, much better than the plastic ones.